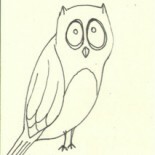 Neurotic Owlphabet, part 8. W00t? 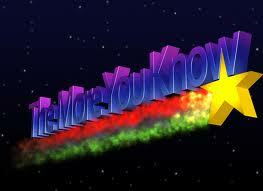 Apparently yesterday was official hugging day or something of the sort, so I’m practically topical. Also, watch this. It’s SFW! See how much his eye bags have cleared up? 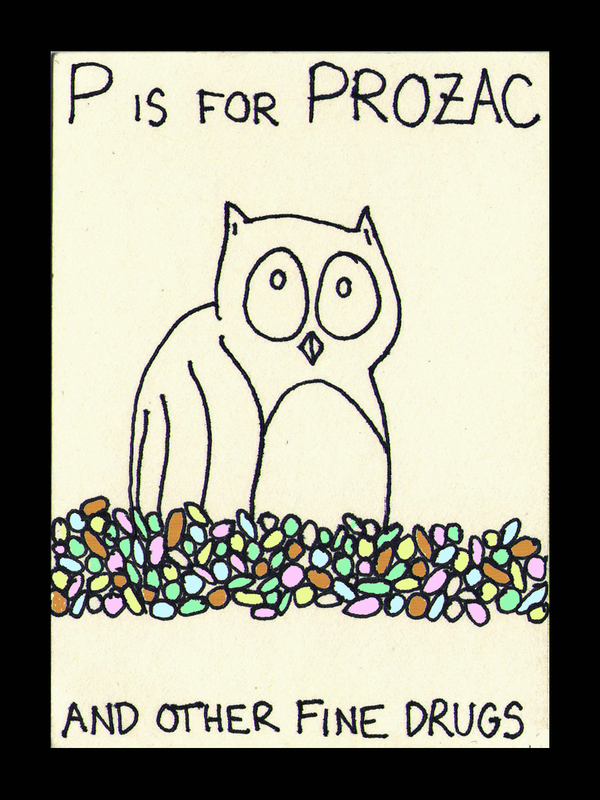 Just so you know, Neurotic Owl does not endorse swimming Scrooge McDuck-style through a giant medication vault, especially because Xanax up the nose hurts. I’ve heard. 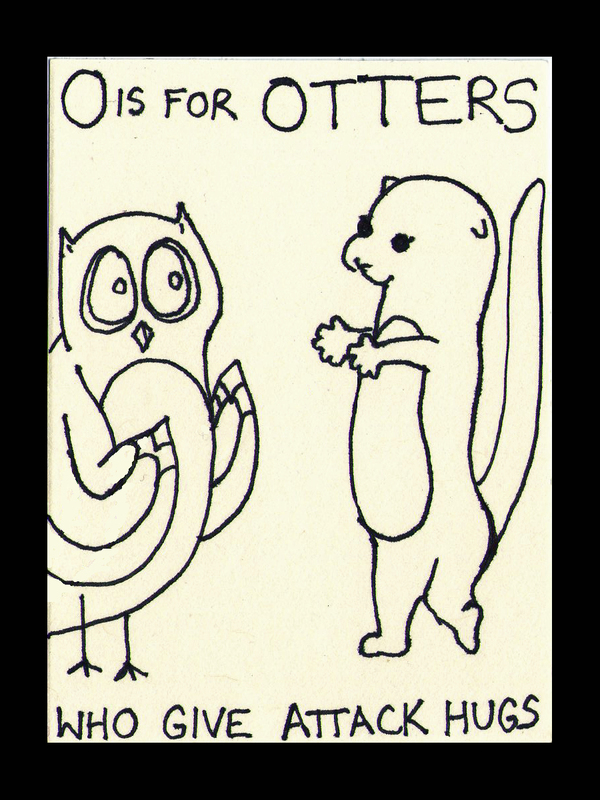 This entry was posted on June 12, 2013 by naralesser and tagged not advertising, otter, owlphabet, owls, terrible ideas, this won't end well, video.